Even Jedi Masters need to sit down and have a nice meal every once in a while. Dining in the glow of a light saber sometimes does the trick, but if it accidentally gets knocked over, sparks will fly. Luckily for all, there is the Star Wars Lightsaber Candlestick. 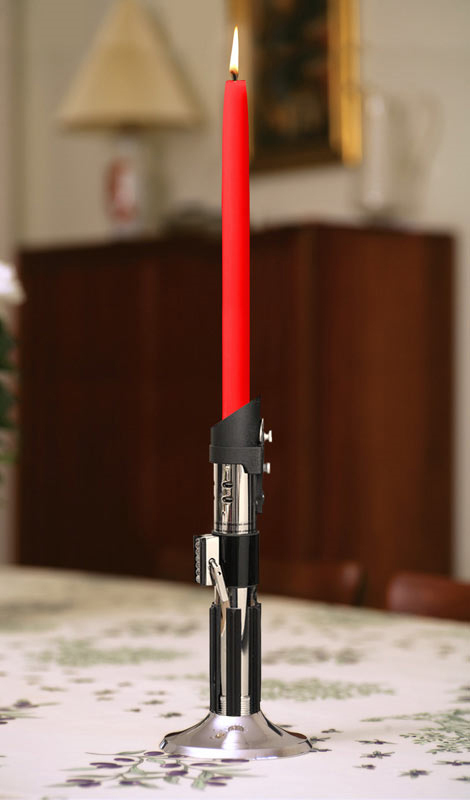 It won’t provide the same awesome illumination as would a real light saber, but then again, it won’t cut the table in half if it falls over.